Give us your feedback on Visual Studio 11 etc. and receive a gift! The Microsoft Visual Studio Design Research Team is looking for participants to give us direct feedback on our development tools, languages and libraries! Opportunities include usability studies of upcoming features, focus groups where we explore new ideas, as well as 1:1 interviews. Receive a choice of a Microsoft product from our gratuity list – ranging from Visual Studio Pro thru Xbox games! We have a brief enrollment form that will ask you a few questions about your company, your job, and the software and languages you actively use. We will contact you as soon as we have a research study that matches your specific background and/or interests. This enrollment should only take 3-5 minutes to complete. For more information about the program feel free to email us at vsdr@microsoft.com. Please note that the Enrollment link originates from Microsoft User Research and is hosted by our survey software provider. 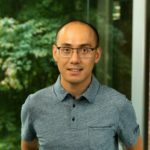 Visit http://www.microsoft.com/userresearch/studies.aspx if you have any concerns. Please note that government employees and non-U.S. residents are not eligible for a Microsoft gratuity.